Malin Carlström is Senior Vice President at ABB Technology Ventures (ATV) and is based in Stockholm, Sweden. Malin covers Northen Europe and scouts for investment opportunities in companies that are relevant to all of ABB’s industry segments. Before joining ABB in December 2017, Malin has spent thirteen consecutive years as an investor in the Nordic Venture Capital market. Her segments of focus have ranged from hardware and cleantech to fintech, legaltech and edtech, including companies such as Tail-F solutions, Fishbrain and Soundtrap. Additionally, Malin is an active advisor and board member of a handful startups in the Stockholm region. 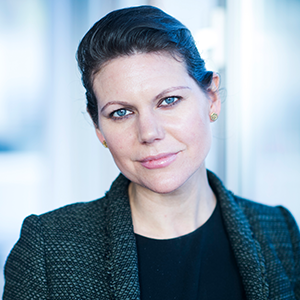 Malin holds degrees from Chalmers University of Technology (MSc Mechanical Engineering – Energy Technology) and University of Kent (Master of Business Administration) and has completed executive education in Corporate Finance at Stockholm School of Economics.